Discussion in 'iPhone and iPad Games' started by PeteOzzy, Mar 11, 2015. 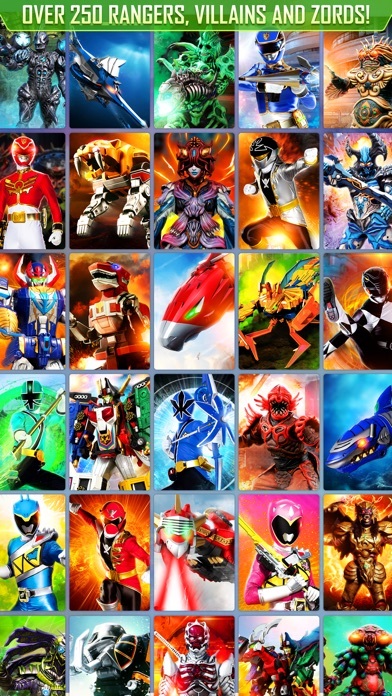 Unite rangers, zords, weapons and villains from all 22 epic seasons of Power Rangers! 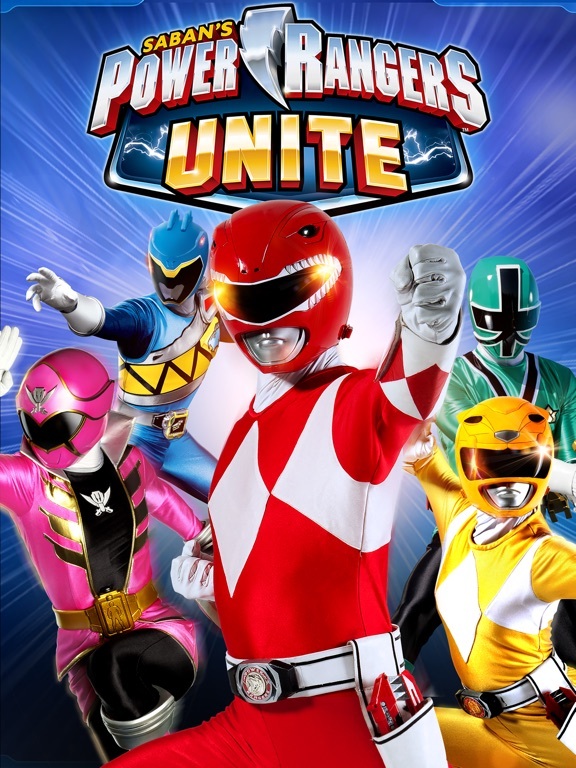 Power Rangers: UNITE is the official collectible card game of the Power Rangers! An all-new story brings together Power Rangers from all seasons, fighting to save Earth from the villain NeroDark. Only teamwork, loyalty and friendship can with this battle! Battle  Challenge your friends online or play an exciting single-player campaign. 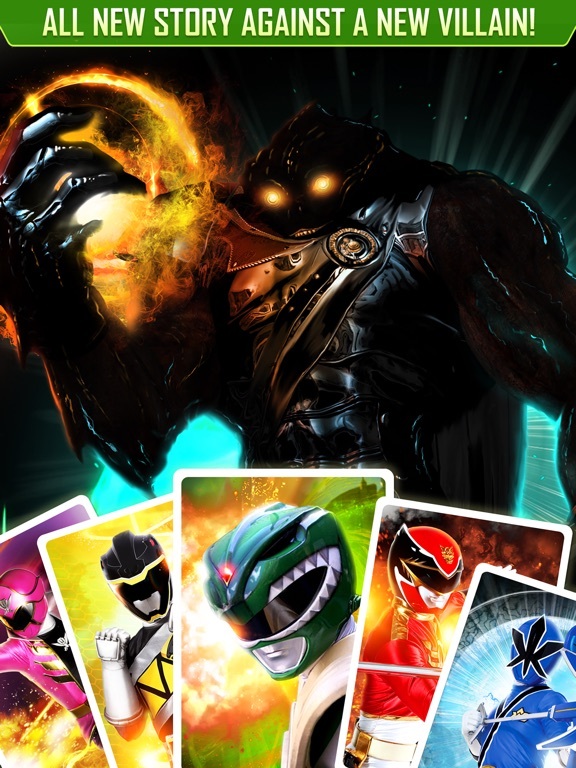 Collect  Unlock and collect over 250 different cards  Rangers, Zords, Weapons, Abilities and more! Strategize  Simple to pick up and play for all ages and deeply rewarding for super-fans, with multiple card types and endless strategy. Action-packed Campaign  Use your card deck to battle in an explosive single-player campaign. Defeat villains, save citizens and win valuable rewards. 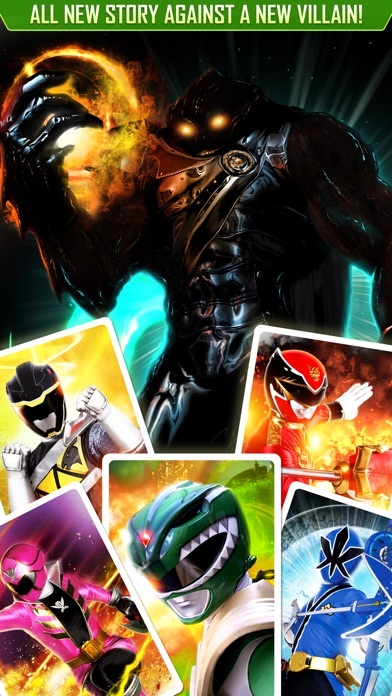 Spanning 22 seasons, including the latest Power Rangers Dino Charge, Power Rangers: UNITE will continue to expand by introducing new cards and new epic battles to the single-player story. 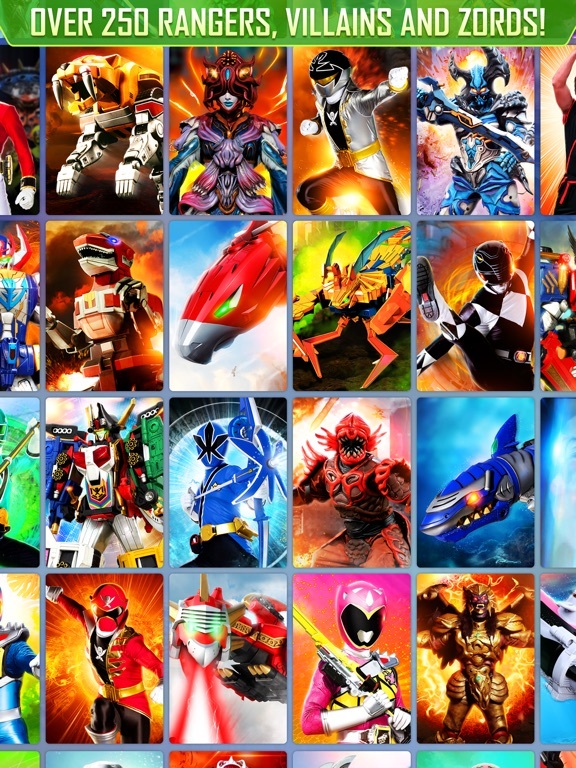 Unite rangers, zords, weapons and villains from all 22 epic seasons of Power Rangers! 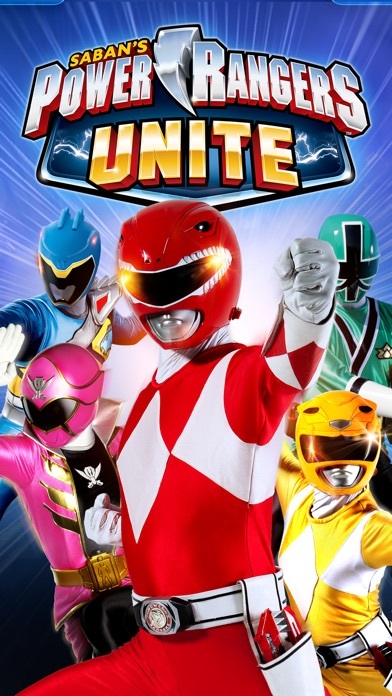 Power Rangers: UNITE is the official collectible card game of the Power Rangers! An all-new story brings together Power Rangers from all seasons, fighting to save Earth from the villain NeroDark. Only teamwork, loyalty and friendship can win this battle! Go Go Power Rangers! Battle – Challenge your friends online or play an exciting single-player campaign. 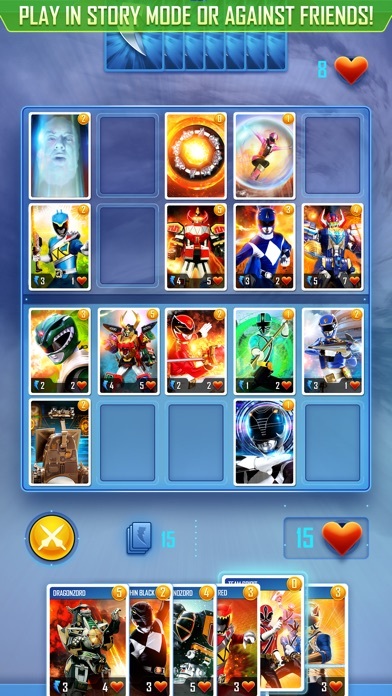 Collect – Unlock and collect over 250 different cards – Rangers, Zords, Weapons, Abilities and more! Strategize – Simple to pick up and play and deeply rewarding for super-fans, with multiple card types and endless strategy. Action-packed Campaign – Customize your card deck to battle in an explosive single-player campaign. Defeat villains, save citizens and win valuable rewards. 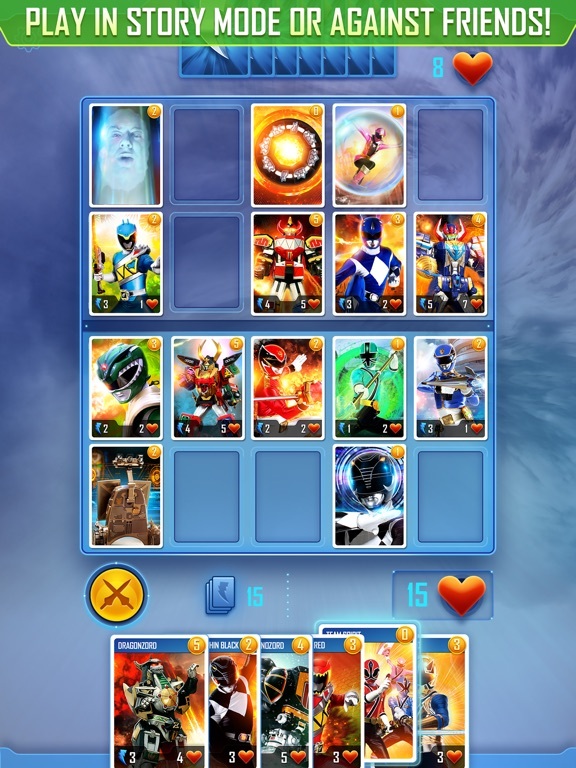 Spanning 22 seasons, including the latest Power Rangers Dino Charge, Power Rangers: UNITE will continue to expand by introducing new cards and new epic battles to the single-player story. Rangers, UNITE! Power ranger card game ? Like, really ? Woulda been cool if it has a Battleheart gameplay, or even a metroidvania type of game where you can freely switch between charcters for their special abilities. Well, i guess those who like freemium card games will have a blast with this. 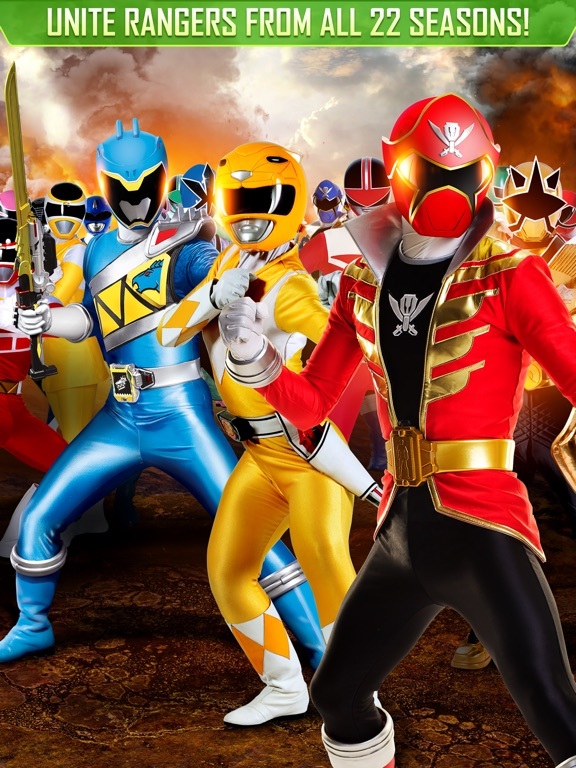 I like Ninja Storm and Jungle Fury the best so far. Wish it was Super Sentai. 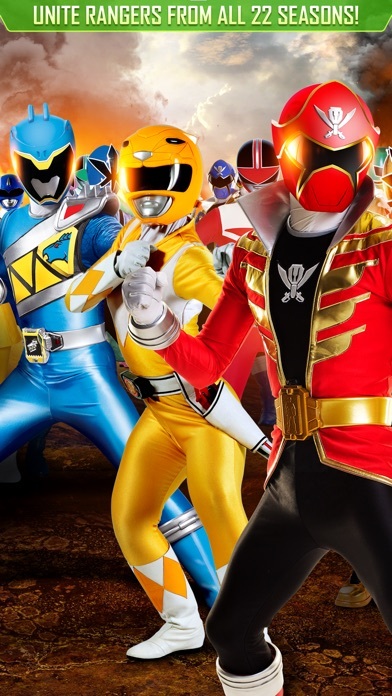 Super terrible megaforce ruined power rangers for me. Well it was ruined a while ago but that season was the worst. I've played it long enough now to have a custom deck of entirely Mighty Morphing cards and be a fair chunk into the single player game. It's a fairly well made card game system with elements of Shadow Fist, MTG and Hearthstone in its systems. Enjoyable and fun to play against a friend. I hope it receives support for new cards based on other seasons at a later date but the selection available is nice and broad. I plan to buy a premium card set later today to donate some money to the devs as I'm yet to pay a penny and the most expensive in app purchase costs less than a burger. Why no review for this great game yet?